Come see this film. I composed the music and arranged it with Seth Ford-Young. The music is performed by Evan Fraser, Seth Ford-Young and myself. 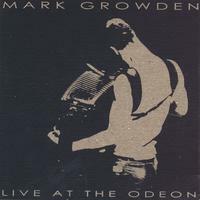 I’ve put a few of my earlier albums – including Live at the Odeon up at Last.fm. Have a listen. By the way, I’ve included a previously unreleased track “Stealing the Ocean” with Live at the Odeon. Mark Growden - Saint Judas CD Release Concert and Party. Painting by Mona Caron. Design by Jenya Chernoff. To get discounted tickets to my cd release concert and party, simply go here: http://www.brownpapertickets.com/event/81397 when prompted for a the discount code enter saint.judas . Feel free to pass this info on to friends. We’d love to sell this show out well in advance. The discount tickets are available until October 6th.